Decorating our new home for functional living with children has been a huge challenge and such fun! I’ve really developed my style while living here, although, my style isn’t as clear as I once thought it was. I’ve also learned that decorating on a budget can be so much fun. Sauder offers a broad variety of designs and styles that cost a lot less than you think, giving you the freedom to furnish your home at a fraction of the cost. Sauder believes furniture should be affordable without sacrificing style or quality. And spending just a few minutes on the Sauder site will make that clear. 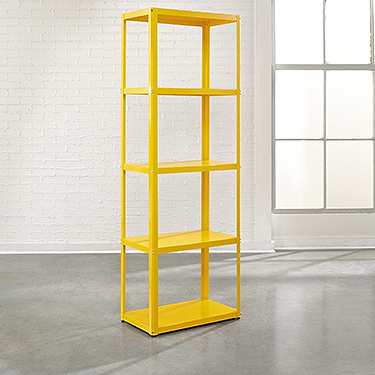 My two favorite pieces right away were Sauder’s Soft White side table and the Tower book case in white or yellow. I’d love to replace Bodhi’s shelf with this tower shelf. Sauder’s Pinterest page is filled with great stuff too. Modern simplicity generally describes my style. And when it comes to kid rooms, I think it’s a great decorating approach. Bodhi’s room is finally complete and while you might be surprised at just how simple we have made it, it has become one of our favorite rooms in the house. The room stays clean without any effort at all. It is beautifully bright during the day and calm and peaceful at night. The bedding is simple, machine-washable and easy to keep the bed made. The art is also pretty basic. You can get more details on the gallery wall here. Simple is so much better — so much bolder. Modern simplicity means less is more. This style offers a clean, uncluttered space, adding character in ways that are easy. This style means that most things should have a purpose. While I love cutesy kids stuff and have to really push myself to only buy things with a true purpose, I also love a room that is bright and white and clean. I love that picking up B’s big boy room takes minutes at the most. There just isn’t much stuff in it to make a mess. With our growing family (baby arrives in 10ish weeks), I am very focused on making our house livable, but organized and chaos-free. This little car above is called a Tuk Tuk in Sri Lanka. We rode in one in Kandy, Sri Lanka on our recent trip. B will never forget that experience and I love having this piece in the room. A few little things with meaning are great. I’ve been struggling with our nursery for some time. I’ve changed my mind so many times. After much internal debate, I have decided that I love Bodhi’s room. I love how clean and simple it is and I will do the same with the nursery. Uncluttered, white, bright spaces speak to me. Here is a peek at the new very simple nursery design featuring Sauder’s Soft Modern Side Table. At just $49, this piece would easily transition to any big boy room or to other rooms in our home. It’s bold with the round top and cool legs, but simple in color. I know there isn’t anything cutesy about this room, but I think it will be perfect for a new baby and easy for me to keep clean and organized. I love to include personal or inspiring art in our rooms, especially the rooms our children will be in. B’s room has very personal art that was custom-made featuring cities that are important to us. Some of the personality here will come from the art and a little something on the ceiling. The very bold pop of color comes from the walls and most, if not all, of the decor is neutral… blacks, whites, greys and a greyish wood. Modern. Simple. Lovely. Pick one or two colors and keep the focus there. For B’s room, it’s definitely white and grey. The grey walls and white furniture plus the simple bedding are the items that make for the clean base of this style. Add in pieces that serve a function or truly speak to you. If you don’t LOVE it, leave it out. Sauder’s furniture line, specifically the soft modern pieces are perfect pieces that function and make a statement on a budget. Make sure that your space is filled with organization options. Hooks, shelves and drawers are great. Clear the clutter. We LOVE that B’s dresser is now empty on top. It’s clean. It doesn’t need anything on it. If there was something on it, B would find a way to get it down. Add character with art and books. Art stays on the walls and keeps tabletops clear. Books serve a function with children and they add so much color to a room. When in doubt, pick white. 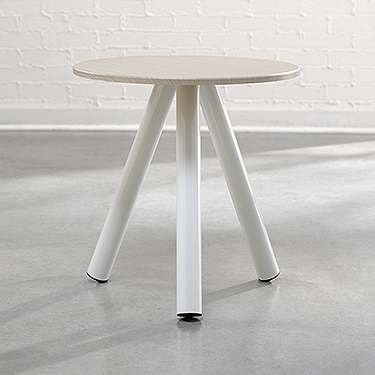 This is completely a style thing, but when in doubt about picking a finish on a piece of furniture (dark wood, light wood, white, grey etc…) I always go with white. I know this doesn’t work for everyone, but I’ve found it changes the way a room looks, feels, flows. I’ve had friends ask me how I keep all of our white furniture clean. I actually love it because when something is showing, it means it should probably be cleaned. White stays cleaner than you’d think and in a bedroom keeping it clean will be no problem. The difference in B’s room with a dark wood bed and his current bed was huge! The room is now brighter than any other room in our home and I love that. What is your design style? Do you follow any of your own rules or rules that have been passed down from others when putting together a room? 15 Responses to "Bodhi’s travel-inspired big boy room with modern simplicity (plus a few thoughts on design style)"
I love that your little man is already a world traveler! Traveling is one of the greatest joys in life and I wish that all children were raised in a room with maps and globes. I adore this for so much more than the design aspects. Thanks Ann! It’s a great light for the price, right? I need a new bulb in it, but overall, totally love it! B’s room looks like a very relaxing, inviting, fun room! Great job! I know you’re comparing your preparedness now to when B was born but now you’re creating 2 new boy rooms, with a little boy at home who loves to spend time with you. You’re doing great! Well done! I love this so much! The photos are amazing and all the design details are perfection! Yay for “non-cutesy” kid rooms! LOVE his room Jessica! Those colors are so calming and perfect for a little boy who is active all day long! And I love the inspiration for your nursery! Great ideas on design! This looks like a wonderful space for him that not only will work now but won’t be outdated or too babyish in a few years. Decluttering has been SO good for me. I feel lighter every time a room is finished. And organizing has been great too. Kids stuff gets out of hand so easily. Where did you get the map on top of The bed?